I've always felt that there was a science to great fashion achievements and now there's proof. Anna Wintour presented the Vilcek Prize for Fashion to Andrew Bolton last night at the Mandarin Oriental in Columbus Circle. The Vilcek Foundation aims to raise awareness for immigrants in the United States that work in the arts, sciences, and culture. The Foundation was started in 2000 by Jan and Marcia Vilcek, a couple working in art history and biomedical science respectively. Their mission was inspired by their personal experiences and appreciation of opportunities offered to them as newcomers in the U.S. The Vilcek Foundation awards annual Vilcek Prizes in the biomedical sciences and the arts and humanities. This year the $100,000 Vilcek Prize for Fashion goes to Andrew Bolton. We have no doubt that he deserves it. 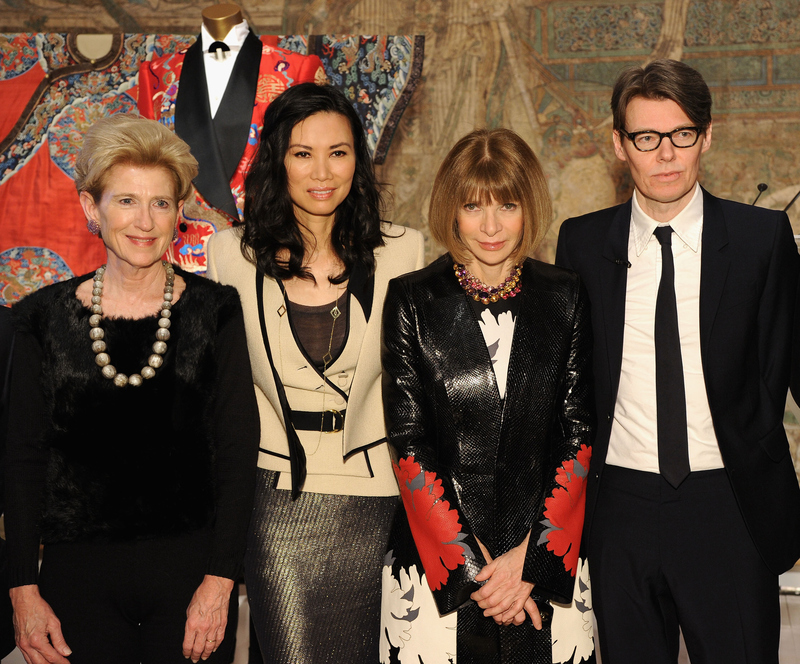 Bolton has been the curator of The Costume Institute at the Met since 2002. He is responsible for the hugely successful Alexander McQueen: Savage Beauty exhibit to the museum in 2011 as well as the Charles James exhibit this past year in 2014. For this upcoming Met Gala, the exhibit will be China: Through the Looking Glass . The new exhibit will be open for view May 7. The Asian Art Department will be working with Bolton on an exhibit that will include more than 130 haute couture and ready-to-wear pieces alongside Chinese artistry rendered in jade, lacquer, cloisonné, and blue-and-white porcelain. Oh and in case you were curious, Wintour looked amazing in a red tweed ensemble with purple and red fur embellishments. Wintour also wore gold open-toe cage pumps and, of course, her signature shades. She's so fabulous, we had to include her #OOTD in here.